CAIRO, EGYPT (3 April 2018) — As if the transition from the desert to the oasis towns had not been jarring enough, the approach to Cairo announced itself with traffic that began to bunch up before becoming full-blown jammed. Just after the main checkpoint en route to the urban population centers a truck had spilled a load of potatoes and the driver was attempting to recuperate some of them. Other cars were stopped and people were picking up potatoes, whether to help the driver or to help themselves to free produce we couldn’t tell. Still other trucks kept on driving right over the potatoes creating a kind of mashed potato coating on top of the asphalt that seemed like it could be dangerously slippery — so everyone was going very slowly. Despite the fact that I had a flight to catch in just a few hours, I was not anxious about time. The desert had worked it’s magic and my spirit was on what I always call “Africa-time” — meaning I get there when I get there. 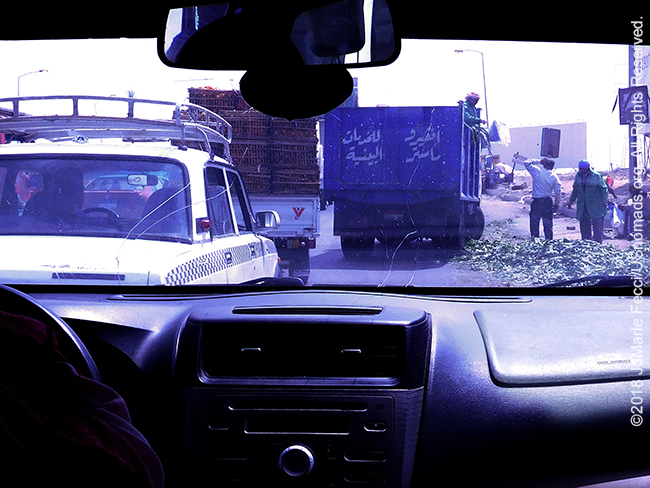 And, besides, I had faith in Mr. Abdel’s Cairo driving skills. I would have been more worried if I was driving this segment myself! Mr. Abdel had come to pick me up for the transit between Bahariya and Cairo a little after dawn. After saying goodbyes to Abdou, Ahmed and Arafat, I had spent my last night at a beautifully situated but empty hotel where I was the only guest. 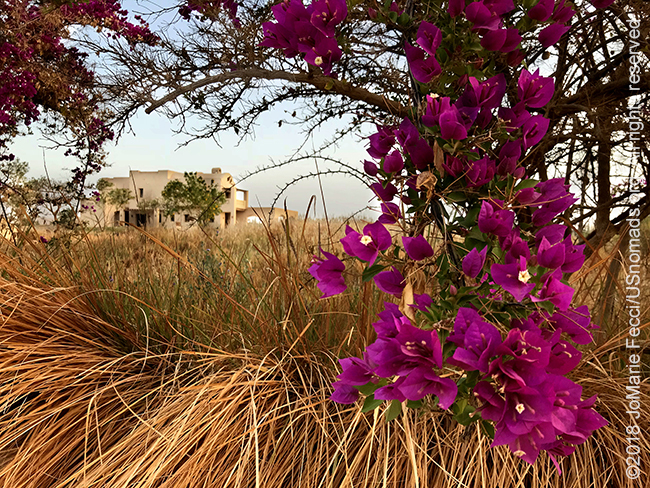 It was a bit bizarre, and ghosttown-esque, but the property was well cared for with flowers blooming in the garden and I had a last walk as the sun rose, just before Mr. Abdel arrived.